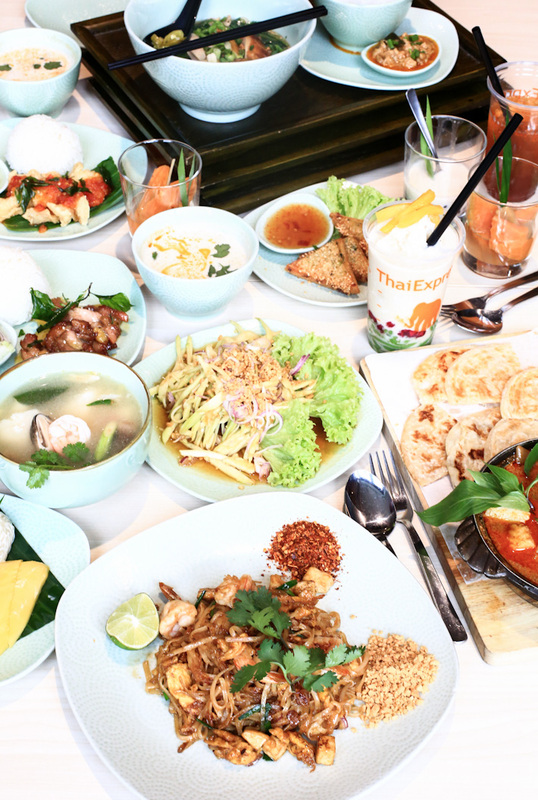 The number one Thai casual dining chain restaurant in Singapore, ThaiExpress is a household name for many of us, and we grew up with the restaurant’s friendly and affordable fare. For regulars, there is something to look forward to this Chinese New Year 2015 – ThaiExpress is introducing its first-ever Thai-Style Soft Shell Crab Lo Hei! Lo Hei is one of the things that we always look forward to every Chinese New Year, and it is almost synonymous with the Chinese festival. 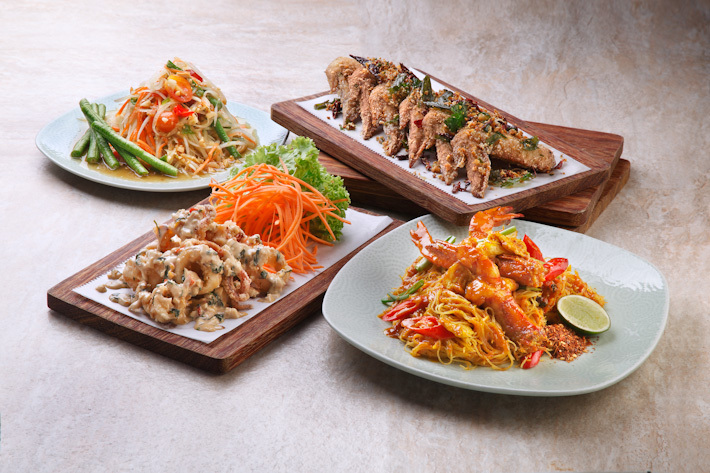 Instead of the ubiquitous salmon yusheng, ThaiExpress‘s Thai-style Soft Shell Crab Lo Hei is inspired by one of its signature dishes – “Poo Phat Pong Kari” – which means Rice with Soft Shell Crab, Egg and Onion Curry. Yes, all ThaiExpress fans are excited already, we know. Priced at S$22.80++, the Lo Hei comes with two Soft Shell Crabs, Shredded Red and Green Capsicums, White Radish, Carrots, Cucumber, Peanuts, Sesame Seeds, Rice Crackers, Lime and Green Mango and is drizzled with Mango Sauce. By the way, the rice crackers are homemade and baked by the team of chefs who are true to their Thai roots and want to pay homage to a traditional snack that they grew up eating. The dish is good for 2 to 4 people to “Lo”, and there is a step-by-step guide to introduce you to the Thai-Style Lo Hei. Also, every order of the Soft Shell Crab Lo Hei will give you a customised ThaiExpress’s red packet. ThaiExpress’s Thai-style Soft Shell Crab Lo Hei is available at all ThaiExpress outlets from 1st February to 5th March 2015, the 15th day of the Lunar New Year. With so many outlets across the island, there is no reason to give this a miss. Besides, how often do you get to toss soft shell crabs, right? For the latest updates, go to ThaiExpress.com.sg, and follow them on Facebook and Instagram. This post is brought to you by ThaiExpress Singapore.